Canada - View general information on Central Transport in conjunction with its Canada Service. Service Map - View our U.S. and Canada Service Center locations as well as the border crossings. Canada Contacts - Find phone numbers and addresses to Canada Contacts, or use the online email tool for your convenience. Documentation - Get shipping documentation and required information. Customs - Learn the Canadian Customs terminology. Frequently Asked Questions - Answer questions regarding shipping to and from Canada. If your question is not asked, please send an email via the Canada Contacts page. What's New - View upcoming events and new information regarding our Canada Service. Brochure - View our informational flyer about our International Shipping services. 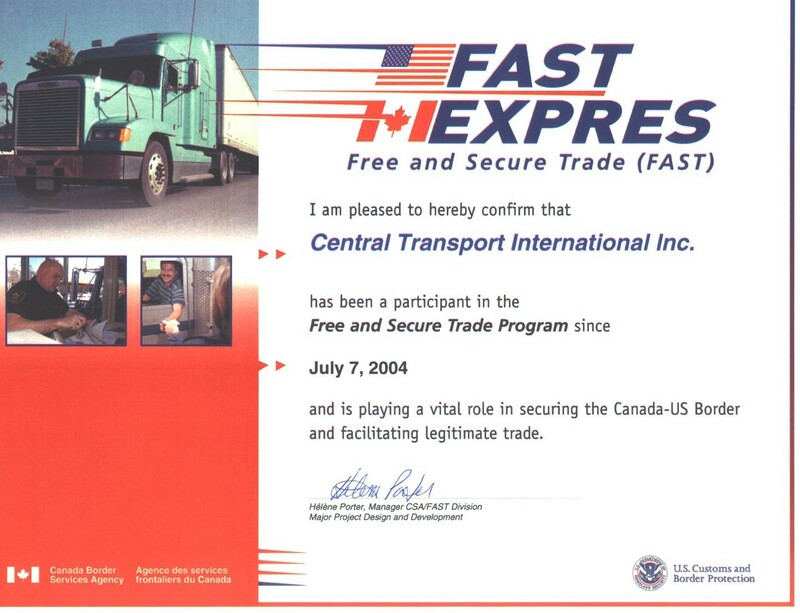 Canada Service - Get single or multiple origins to destination shipping time estimates. Courtesy Rate Quote - Get a quote on a shipment.